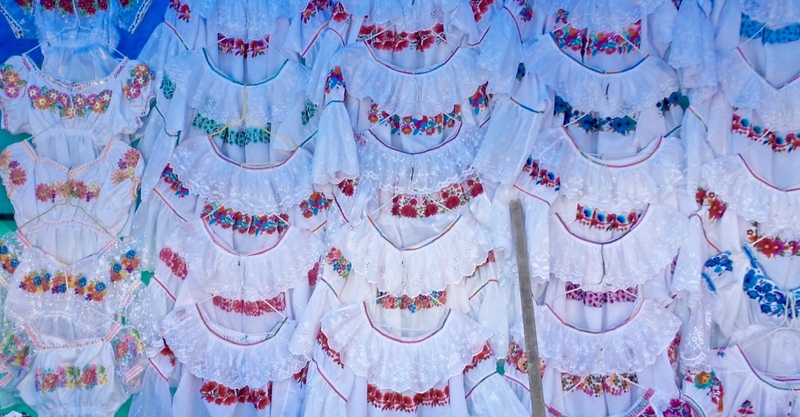 In Ecuador, indigenous traditions are still fully vibrant and very important. 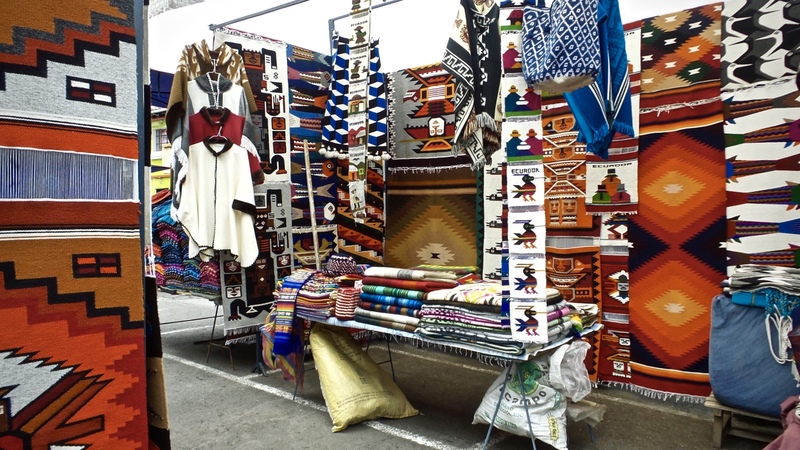 The town of Otavalo is a visual feast projecting its rich mestizo culture and history by way of essentially existing as an everyday, open-air market. My kind of town. One end houses the Plaza de Ponchos, a daily textile market. Across the way is a staple vegetable and fruit market with the usual finds, and on Saturdays a large animal market sends pigs squealing wee wee wee all the way into the high mountains. 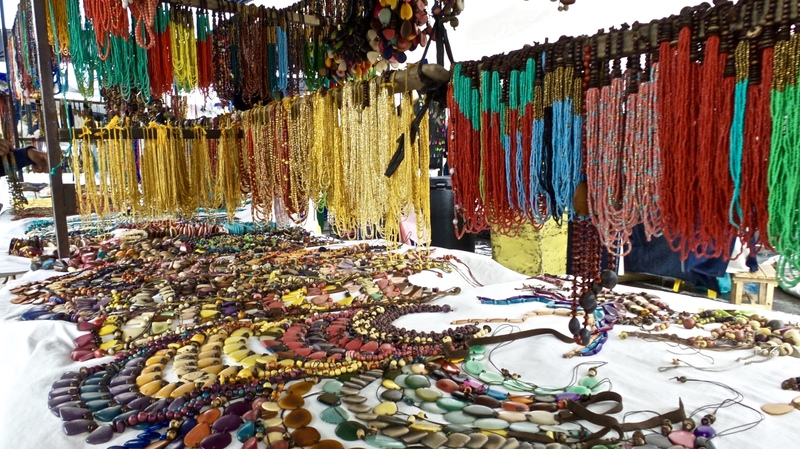 The weekend explodes with vendors causing each market to spill into the next threading the streets with endless goods. Ruffled sleeves, embroidered flowers, hand woven belts, beaded jewelry and deeply dyed fabrics for ladies. Men wear smooth alpaca ponchos, white pants and fabric hats. Dark, thick braids hang long down the backs of almost everyone. While traditional attire is highly popular, modern fashion has unfolded between stalls creating a fascinating juxtaposition of new and old between both age and era. Piles of practical items like blankets, bags, pillows are stacked high like looming towers in opaque, primary colors. 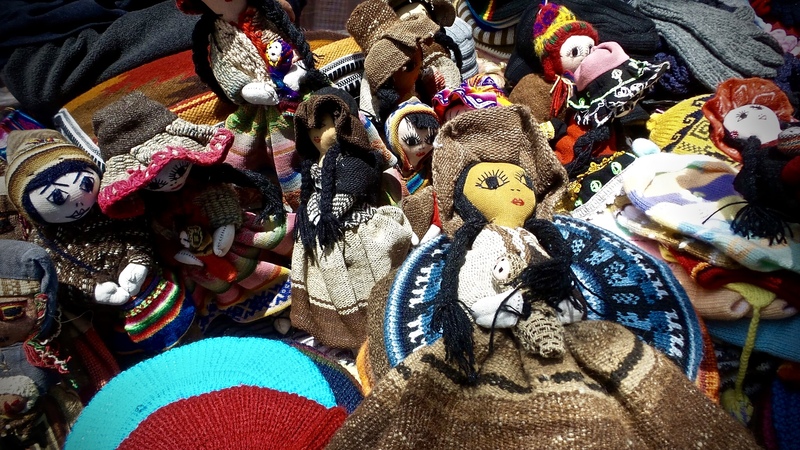 Many things are made from cotton yarn and other fabrics but Otavalo is famous for it’s warm, soft alpaca-made everything. If you can find them, a special treat are the handmade dolls which are sadly a fading art. They are made of old ponchos and other vintage fabrics. Even the shoes are made from recycled rubber. 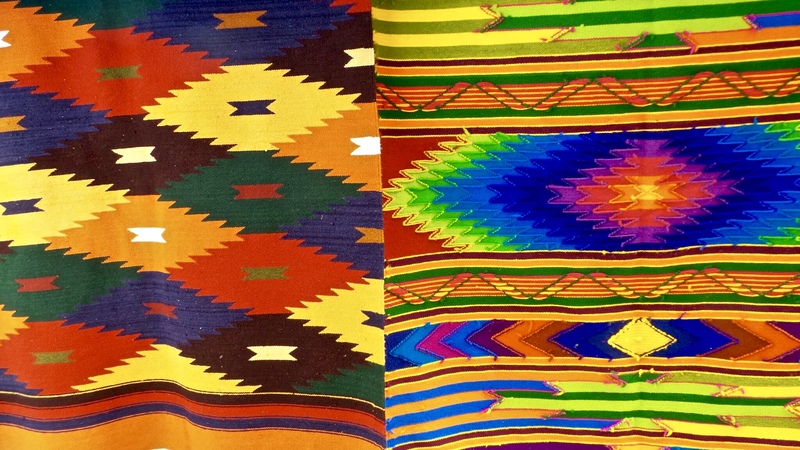 Though it may all look like nothing more than a sea of the same things the locals will remind you that there is tradition and intention behind repeating patterns and textures passed down for generations with purpose. There is something for everyone as locals and tourists shop together. The end of textiles means the start of edibles. The smell of smoky, grilled, sweet plantains stuffed with a squeaky, white cheese have quickly become a favorite snack of mine as I rifle through the best of ripe pineapple and dragonfruit. But pretty patterns, soft fabrics, and air saturated with the aromas of tropical fruits and fresh vegetables are soon forgotten about upon entering the chaotic animal market. Right away hundreds of overlapping squeals are heard. Men, woman, and children haul, drag, and carry away defying, taut, flesh barrels. 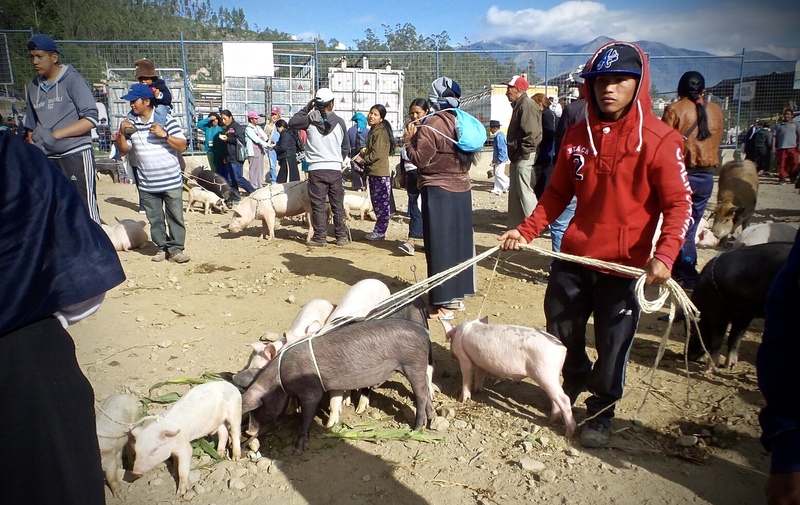 The pigs pull, fight, and vocalize in protest. The piercing screech that penetrates the air causes my fingers to go flying to my ears and my face to twist. The struggle was real, real for everyone involved. Past the porks of tomorrows meals, whole, live chickens get flung about and shoved into bags for easy transport. The cows have it easier with more room to breathe and less competition. 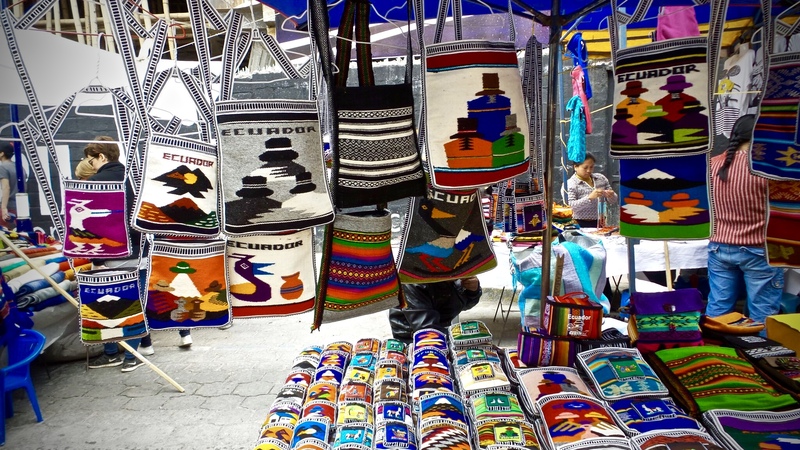 The madness of Saturdays come and go and the daily markets of Otavalo continue on their regular grind. The items that are sold here can easily all blend together making it all seem like a lot of the same but there are always new treasures to be found, one just has to dig a little deeper.